This article is on how to install and run Lisk delegate node on testnet, on Digitalocean Ubuntu 16.04 droplet. It should help you to set up a new delegate node as easy as possible while still being secure and stable. Before starting I assume you are already familiar with basic terminal commands and how to access a remote server via SSH. Use Lisk Nano to create an account on testnet and register it as delegate. You'll need some test Lisk to register as delegate (the delegate registration costs 25 LSK). I asked on lisk.chat for some test Lisk (thanks @lisksnake). For this tutorial, a 4GB - 2vCPUs - 80GB SSD - 16.04.3 x64 droplet is used. If you've never created a droplet before, follow this guide. You can choose a different configuration but be advised I found 2GB of RAM is the minimum when installing Lisk from source (otherwise npm install won't work correctly). There is a very good tutorial on how to do Initial Setup with Ubuntu 16.04, describing each step in detail, I'll focus on what commands you need to execute (in the given order) to setup a delegate node and start forging. You'll be asked several questions, choose default location, testnet and when asked if you want to synchronize with genesis account answer no. Wait some time for your node to be fully synchronized with testnet. I advise you to check Best practices for hardening a new sever for further information regarding the server security, but at this point, you have a solid foundation for your delegate node. "Although swap is generally recommended for systems utilizing traditional spinning hard drives, using swap with SSDs can cause issues with hardware degradation over time. 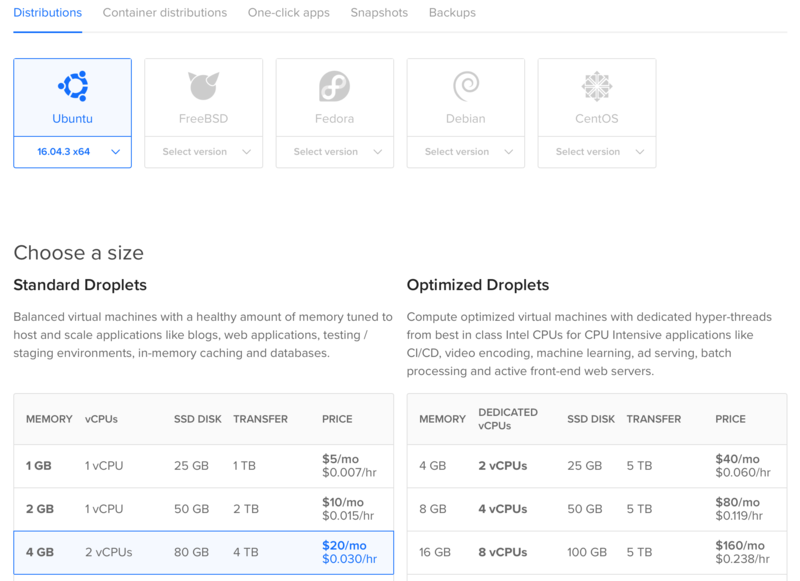 Due to this consideration, we do not recommend enabling swap on DigitalOcean or any other provider that utilizes SSD storage...If you need to improve the performance of your server on DigitalOcean, we recommend upgrading your Droplet...". I have recently joined an amazing Lisk delegate pool called Ascend. Feel free to stop by liskascend.com to learn more and pledge your vote.